By Peter Anderson 11 Comments - The content of this website often contains affiliate links and I may be compensated if you buy through those links (at no cost to you!). Learn more about how we make money. Last edited March 8, 2019 . Last year the personal finance blogosphere was abuzz when it was announced that ING Direct savings, a blogger favorite bank, was soon going to be acquired by Capital One. There were some who feared that being acquired by Capital One might ruin ING Direct, and some considered packing their money bags and heading for greener pastures. The acquisition has now gone through, and as of early this year ING Direct has now been re-branded as Capital One 360. I have been an ING Direct customer for several years now and I have had nothing but positive experiences dealing with ING. I love how you can add multiple sub-accounts in their interface to help facilitate goal based savings accounts. I loved how they had a good set of mobile and remote deposit options. For a long time they also had one of the better interest rates in the business. I've been a big fan of ING Direct, so I decided to stick around and see how I liked the new Capital One 360 savings account. So what will be changing now that the changeover is complete and ING Direct has become Capital One 360 savings? 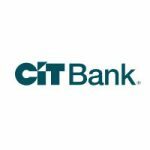 New Brand, The Same Bank? The main change that you're going to notice with your newly re-branded Capital One 360 savings account is that it now has a completely different look and feel. You're going from the old familiar orange and blue colors that we're all familiar with, to the new Capital One maroon and blue. The login process is the same as before. It will still ask you for your customer number or Saver ID, PIN, and ask you to confirm the security image. As far as logging in and using the account the transition has been pretty seamless. You can still login and manage your checking, savings, kids savings, and investment accounts from basically the same accounts dashboard. Even though the website has a new look and feel, most of the things you're familiar with under the hood are all still there. You can still set up multiple savings accounts for different goals in your savings accounts. For example, if you look at our account above you'll see two accounts, one for saving for our next car, and one to save for our next vacation. I loved this about ING and will continue to use the feature with Capital One 360. There is at least one new thing added to the account that I saw when I logged in (unless I missed it in the past). There is now a “My Savings Goals” section in the menu that will take you to a page where you can setup savings goals, link them to your sub-accounts, and then track your progress over time towards those goals. It's kind of a cool feature, and since I was already using the goal based savings accounts I setup a couple of savings goals within my account. The one above is for our “Vacation” account and is tracking our savings towards a $3000 vacation budget later this year. The widget gives you a countdown of how much time is left, and then tells you how far you are towards reaching the goal. A fun little tool to keep you motivated if nothing else. 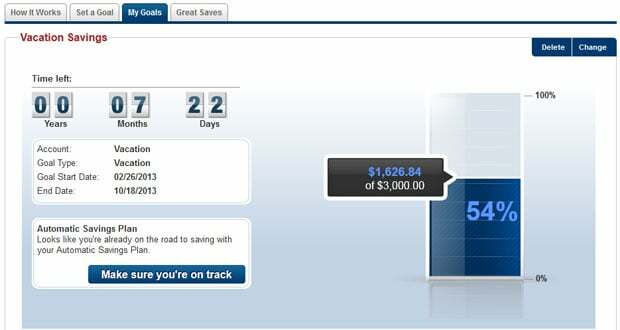 Once you've reached a savings goal it will move over to the “Great Saves” tab where you can check out goals you've reached in the past. Shortly before ING was re-branded the company released a new mobile app. It had been a long time in coming, people had been asking for mobile phone deposits for years it seems like. Up until it was released last year, however, the only deposit options were to send a check in the mail, scan a check and upload on the website or transfer money from an external account. While those options were good enough for most people, the convenience of depositing checks with your mobile phone was still needed. The new app does everything it is advertised to do. 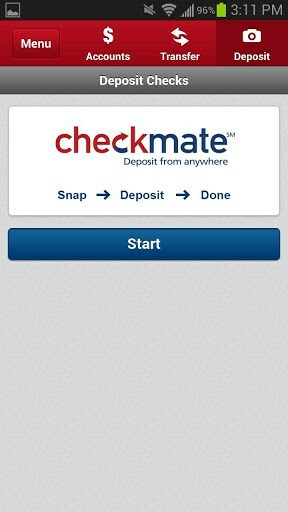 You can check balances, transfer funds and make deposits of checks right from the app. It just works. After the rebranding the app is essentially the same, just with a new bank name and color scheme attached. One thing ING Direct was known for was it's referral program where a customer of the bank was able to refer a new customer to the bank and get a $10 bounty when they signed up with a deposit of at least $250. The new customer would then get a $25 cash bonus for the savings account, or $50 for the checking. That program is still around after the re-branding, and the bonus has been updated and is now $20. if you had used up all $500 of your referrals in the past, some have reported that you may now have a new $1000 referral limit. The program is also improved over the one in the past in that users now are given a multi-use unique referral link that can be used for all your referrals, instead of having to create and send a new link for every customer you refer. Definitely a bonus and a great way to increase the return you're making on your savings! If you have a Capital One 360 checking account, and need ATM access to your money, you'll now have even more locations of where you make withdrawals. In addition to the existing ING Direct relationship with the Allpoint ATM network which will continue after re-branding, you'll now have access to additional Capital One ATMs as well. When all is said and done you'll have access to over 40,000 fee-free ATMs. Not only is there a wealth of free ATMs to use, Capital One won't charge a foreign transaction fee when you use a debit card overseas. Good to know if you're going on a trip. For some time now ING Direct has been one of the leaders in online savings interest rates, although most of the time not the highest rate. They usually tend to be near the top, but not THE top. Check out current rates here. Some people have been concerned that with the acquisition Capital One would start dropping the interest rate, a rate that was already below 1%. (Do you remember the days of 4%+ interest on accounts?). Thus far we haven't seen any changes in the interest rate at Capital One 360, and all indications are they'll be pursuing a similar interest rate scheme moving forward. Stay tuned – we shall see! The customer service team was kept on by Capital One, so for the time being you can expect to still see great customer service when contacting support. I've only had to contact them a couple of times in the past, but when I did they were helpful and polite. Since it's the same team now I don't see that changing. When you look at it Capital One 360 is essentially the same bank that ING Direct customers have grown to love over the years. Yes, they've been bought out by a large corporation that in some spheres doesn't have a sterling reputation, but for now since most of the things we love about the old ING Direct have been carried over to the new Capital One 360, I can't see a ton of people leaving, unless they really don't like Capital One or have had a poor experience with them in the past. Personally I'll be keeping my accounts with Capital One 360 active since for now things seem to be just as good, or even slightly improved over how they were before. 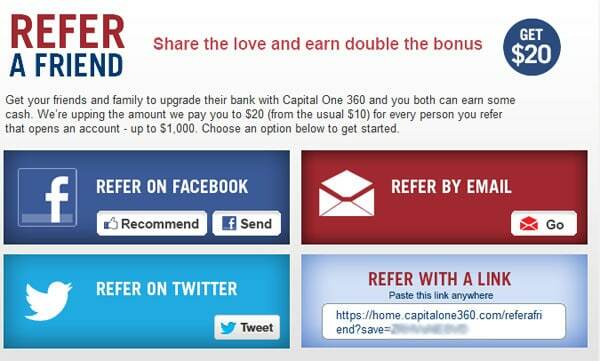 What are your thoughts on the re-branding and re-launch of Capital One 360 savings? If you have an account will you continue to be a customer? I have always loved ING and love their new products and widgets. I would highly recommend them to anyone! Yeah, I don’t have much negative to say about ING or Capital One 360 as they’re now called. They’ve been great for me thus far – the only thing I might like to see improved is the interest rate as there are a few that are slightly larger! So far, my ING acct is serving the same purpose for me–love the smartphone check deposit feature!–and I haven’t noticed anything negative about the change. Thanks for pointing out the savings goal widget. That’s a great way for me to save up for my next blog conference. Start saving for that blog conference now, I know I’ve got that as one of my goals already (although it’s called “vacation”)! Setting up the goals widgets only takes a second, and setting up an automatic savings plan in the account to auto-deduct money every month only takes another minute or two. Automatic savings for the win! I too have noticed the hold time increase when I had a nice size check to deposit and could only use $200 of it for 10 days. Like many, we are watching and waiting – we’ll see. We used ING for all of our banking, including checking. When we got the news of the acquisition, we opened a savings at AmEx in case things deteriorated at Capitol One. No bells and whistles, but so far no complaints. We chose them because they had a good interest rate and the account agreement had the least pages of the online banks we checked into. Their customer service is top notch and very easy to understand. Their accounts are also very very easy to sit up and they offer a very secure interface to register an account. You can also transfer money between your savings account and your capital one 360 checking account very easily as well.. Overall I would highly recommend this bank to anyone interested! They also have a checking account promotion currently running. I already have ING account, does it make sense to open one with capital 360? Buyer beware. I made a deposit into Capital One 360 savings account, which was received. Although they advertise instant transfer to the Sharebuilder brokerage account from Capital One, they refused to release the funds for transfer for a week. I contacted customer service. Their response for holding it for 5 business days was that it is their policy. This is much worse than ING, my other bank accounts elsewhere, and my other brokerage accounts. I will be going elsewhere and I urge you to look at their unusual policies. CapitolOne 360 is GREAT, and you can buy stocks or open a Roth retirement account easily. I really like this bank and their fast friendly customer service. 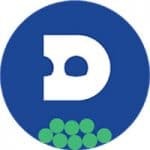 I advise anyone whom ,wants complete control over their money, to bank with this company. I have been with the since December 2006! Next Post: What Paperwork Do You Need To Get A Home Mortgage?